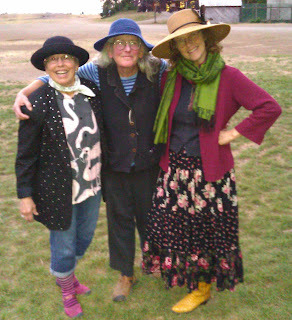 Port Townsend Square Dance: December 2012 - Airstream Traveler, Rose Street Ramblers, and a New Year's Eve Event! 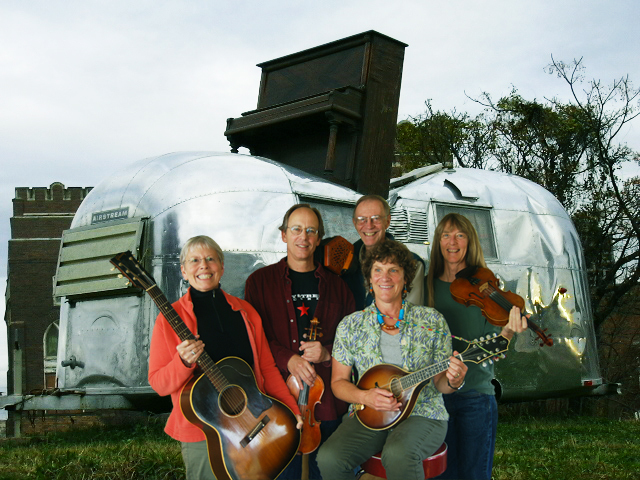 December 2012 - Airstream Traveler, Rose Street Ramblers, and a New Year's Eve Event! Airstream Traveler will take you on a dance vacation! Square dancers will be gathering at Quimper Grange on December 15th at 7:30 for an evening mirthful dancing and socializing. Airstream Traveler will be playing rocking old timey tunes. Seattle caller Carol Piening will be calling traditional squares, and a few New England surprises as well. Adults: $5.00; youth (16 and under): free. Dancers so inclined are encouraged to bring snacks to share. Pre-arranged work trades are available. And, the second Saturday Contra Dance features the Contradictions with caller Nan Evans! 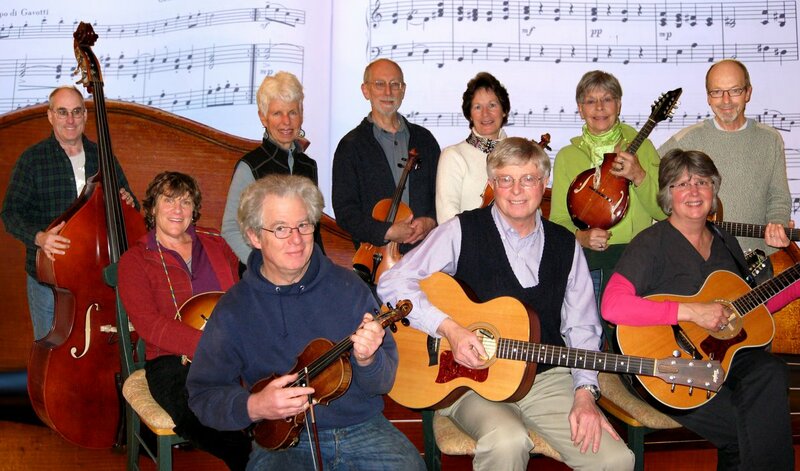 And big news - On New Year's Eve, the Rose Street Ramblers and the Susannah Gals share the stage with callers Nan Evans and Dave Thielk for a dance and social event for folks of all ages. Squares from 8 to 10 and contras from 10 - 12. 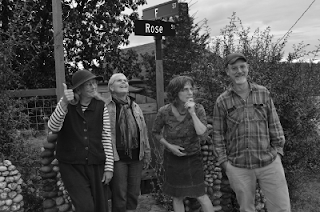 Susanah Gals, with Becky Evasick, Carol Hardy, Carol Sword, and Lori Bernstein, will play old time tunes for the squares with Dave Thielk calling.. 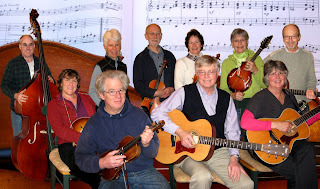 The Rose Street Ramblers, again with Becky Evasick on fiddle, will slow things down just a touch for the contra dance sets with Nan Evans calling. The Rose Street Ramblers out for a little ramble? The evening is intended to be family friendly. Come as a single, a couple, a family, or a tribe, and be ready to dance. Some holiday treats and beverages will be provided, and dancers are encouraged to bring their own if they are so inclined. Suggested donation is $12.00, however, NO ONE WILL BE TURNED AWAY AT THE DOOR! Please dance the night away at the Grange and help us continue to maintain this wonderful community building.